Our newest doctor in the SkyVision family is Dr. Sara E. Schoeck. Sara’s areas of expertise are a perfect fit for our patients and her personality is genuine and kind. We are thrilled she has chosen to be with us here! 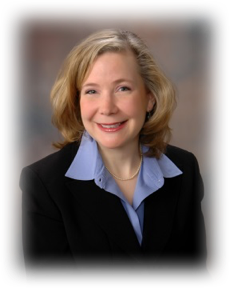 Dr. Schoeck is a graduate of the University of Notre Dame and received her Bachelor of Arts Degree in Pre-Professional Studies in 1988. In 1992, she received her Doctorate from The Ohio State University College of Optometry. With over 25 years of optometric practice in various clinical settings, Dr. Schoeck brings an extensive history of clinical care to Skyvision Centers. Her work experience ranges from patient care in a clinical student externship at the Cleveland Clinic Foundation Department of Ophthalmology, to 15 years of practice in private ophthalmology settings, to practice in a large multi-disciplinary clinic in an academic and hospital setting. 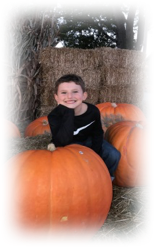 Most recently Dr. Schoeck practiced with the University Hospitals Eye Institute and Rainbow Babies and Children’s Hospital. She also participated in clinical and contact lens-related research. She possesses experience serving a broad range of patients including infants, children, teenagers, adults and seniors. Dr. Schoeck is committed to providing quality, patient-centered care in the areas of family eye care, adult and pediatric eye disease, advanced contact lens fitting, as well as pre and post operative eye care. While attending The Ohio State University College of Optometry, Dr. Schoeck was the recipient of the Class of 1953 Endowed Scholarship. In 2010, 2011, 2012 and 2013, she was also named one of the Top Ten Referring Eye Doctors, a statewide award sponsored by the Ohio Amblyope Registry as a result of her dedication to treating pediatric patients with the eye disease often referred to as “Lazy Eye.” In 2014, Dr. Schoeck was appointed Assistant Professor in the Department of Ophthalmology and Visual Sciences of the Case Western Reserve University School of Medicine, and in 2016 was appointed Assistant Professor of Clinical Practice in The Ohio State University College of Optometry. She is a member of the American, Ohio and Cleveland Optometric Associations. Dr. Schoeck was born in Parma, Ohio and has three siblings. She attended Magnificat High School in Rocky River. Dr. Schoeck is married and resides in Rocky River with her husband, Scott and son Benjamin. Together they enjoy boating, attending Cleveland Indians games and traveling. 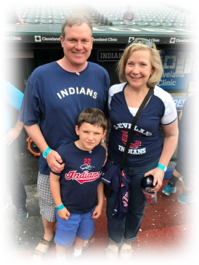 In her spare time, Dr. Schoeck also enjoys running, yoga and cheering on her son in his many sports activities. Dr. Schoeck comes from a family of physicians including her father and brother, so it just seemed natural that she too would enjoy a career in the health care field as an eye doctor. She is thrilled to join the Skyvision team and serve the many patients of Skyvision Centers.